(c)Purely Temporary Erections such as wooden structures. 2.“Factory buildings” does not include offices, godowns, officers’ and employees’ quarters, roads, bridges, culverts. 3.“Speed boat” means a motor boat driven by a high speed internal combustion engine capable of propelling the boat at a speed exceeding 24 Kilo meters per hour in still water and so designed that when running at a speed it will plane, i.e., its bow will rise from the water. 4.Where, during any financial year, any addition has been made to any asset, or where any asset has been sold, discarded, demolished or destroyed, the depreciation on such assets shall be calculated on a pro rata basis from the date of such addition or, as the case may be, up to the date on which such assets has been sold, discarded, demolished or destroyed. 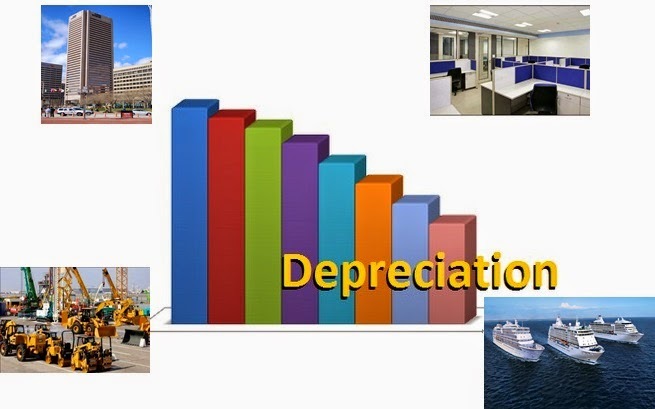 ii.depreciation rates or the useful lives of the assets, if they are different from the principal rates specified in the Schedule. 2.Air-conditioning machinery including room air-conditioners. 5.Electrical machinery-switchgear and instruments, transformers and other stationary plant and wiring and fitting of electric light and fans installation. 6.Hydraulic works pipelines and sluices. 7.Locomotives, rolling stocks, tramways and railways used by concerns. 9.Mineral oil concerns-field operations (distribution)-kerbside pumps, including underground tanks and fittings. 15.Refrigeration plant container, etc (other than racks). a)Trestle and station steel work. 17.Salt works-Reservoirs, condensers, salt pans, delivery channels and piers if constructed of masonry, concrete, cement, asphalt or similar materials; barges and floating plant; piers, quays and jetties; and pipelines for conveying brine if constructed of masonry, concrete cement, asphalt or similar materials. 19.Tramways electric and Tramways run by internal combustion engines-permanent ways: cars-car trucks, car bodies, electrical equipment and motors; tram cars including engines and gears. 22.Wireless apparatus and gear, wireless appliances and accessories. 7.Continuous process plant means a plant which is required and designed to operate 24 hours a day.